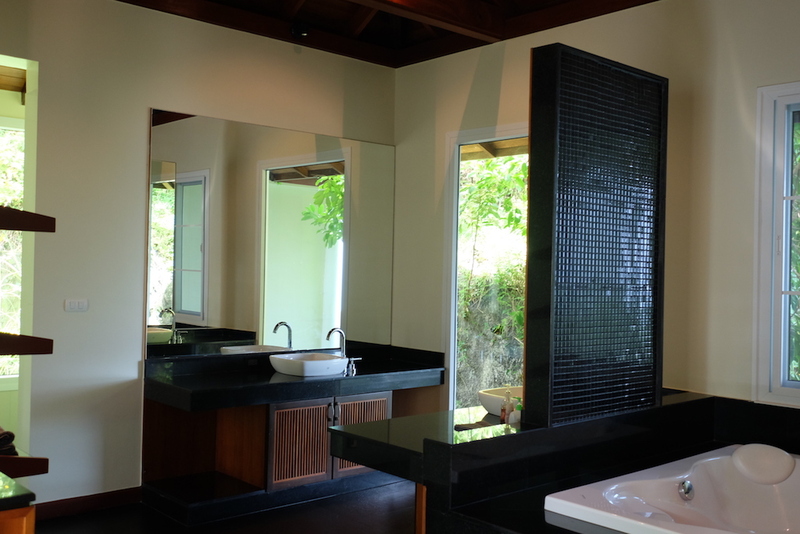 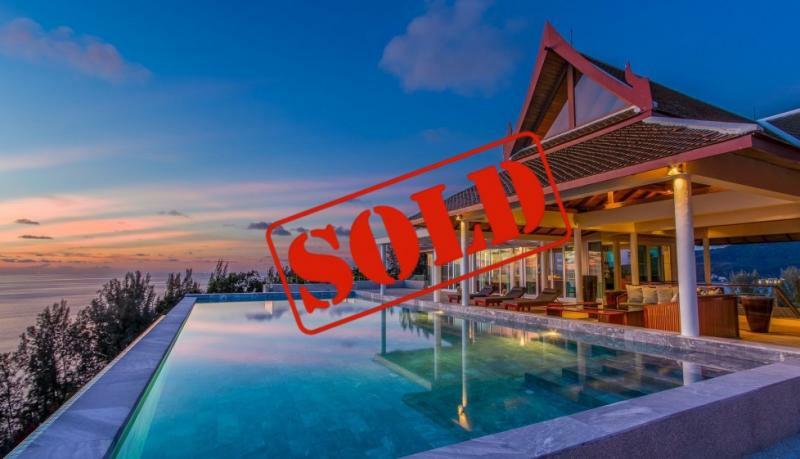 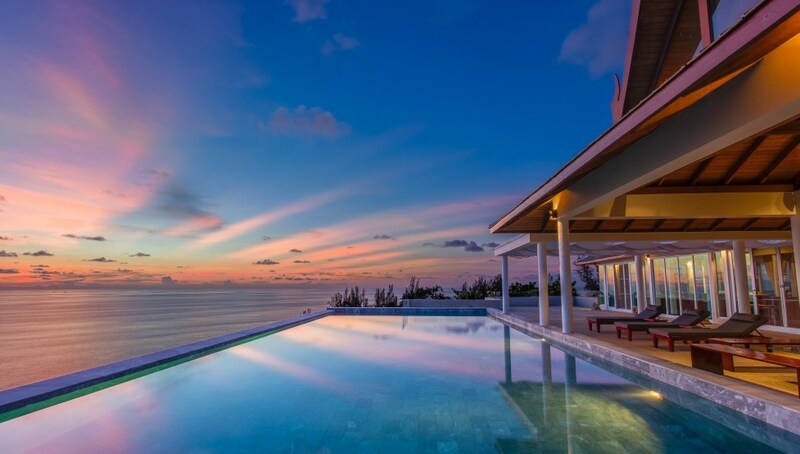 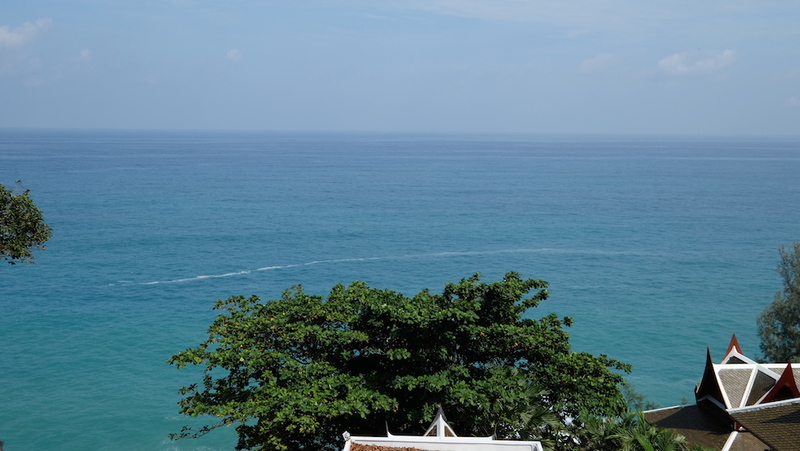 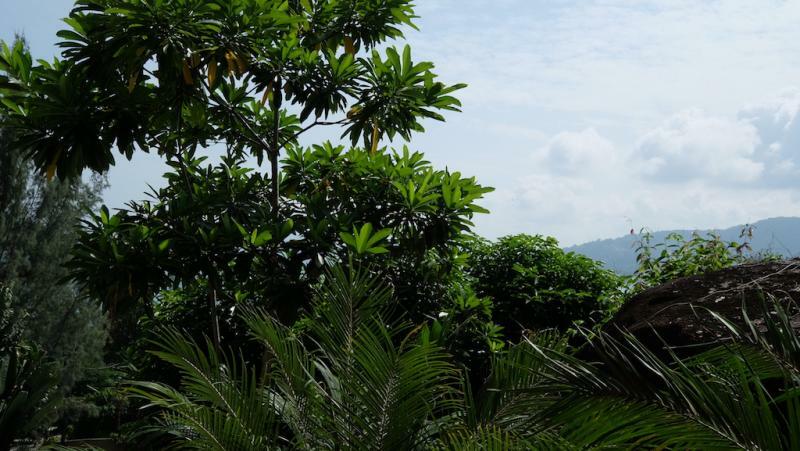 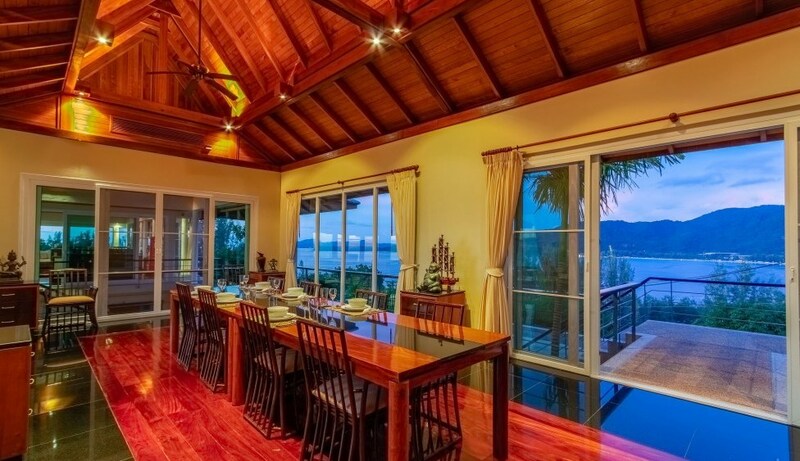 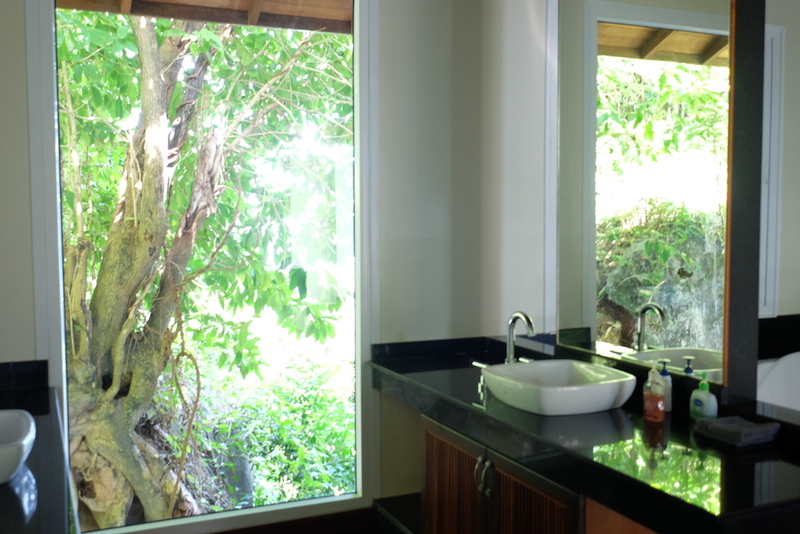 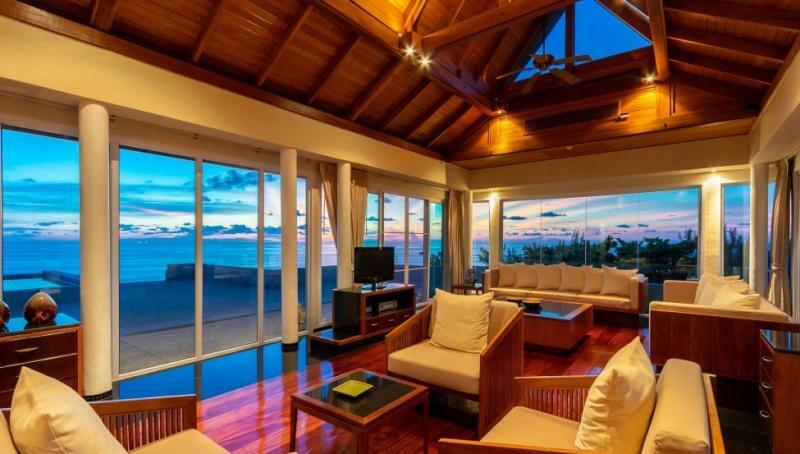 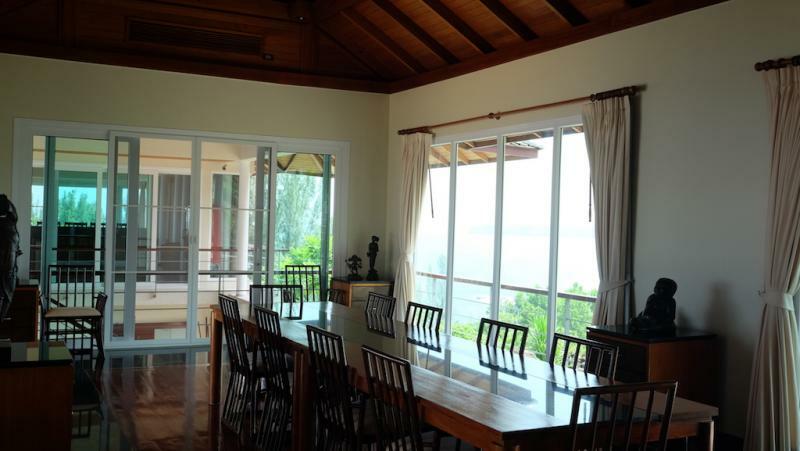 Perched on a peerless promontory on the Millionaire's Mile in Kamala, this magnificent villa offers a 280° Sea View. 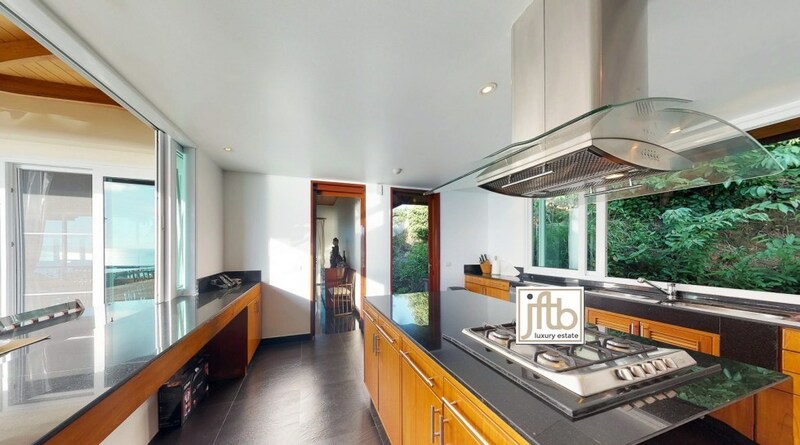 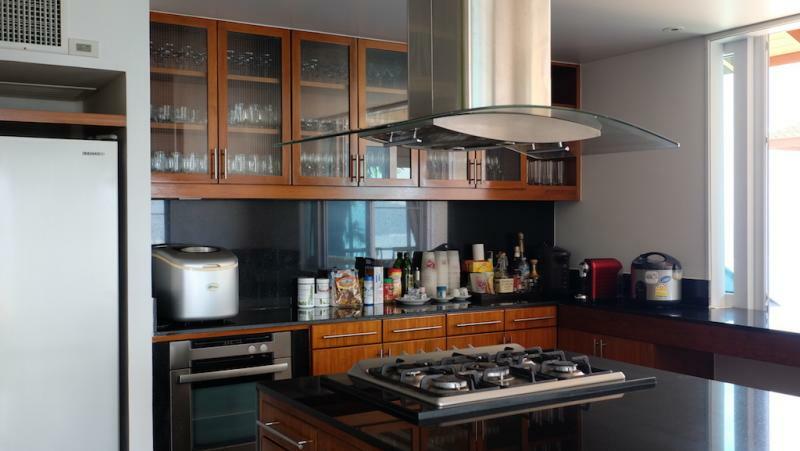 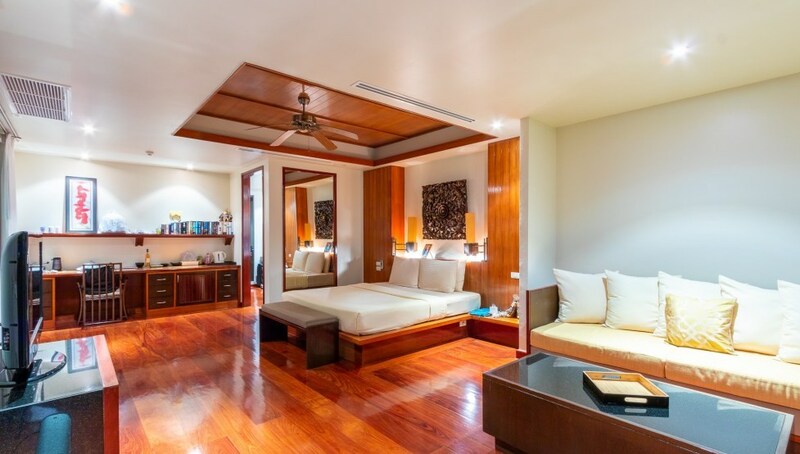 With its 2500 m2 of living area, built on 4 levels, this property offers very high benefits, including 5 very spacious bedrooms including 3 bedrooms with their own private pool and jacuzzi. 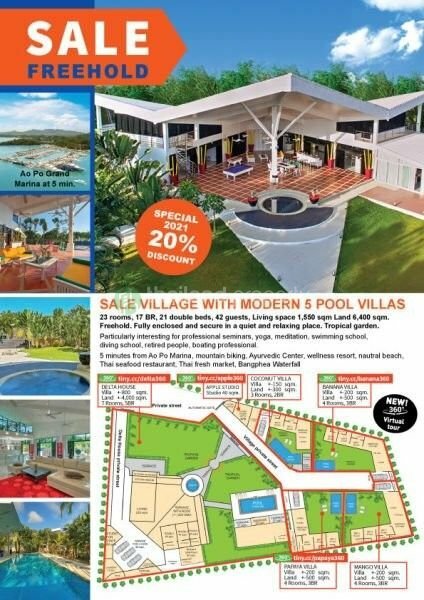 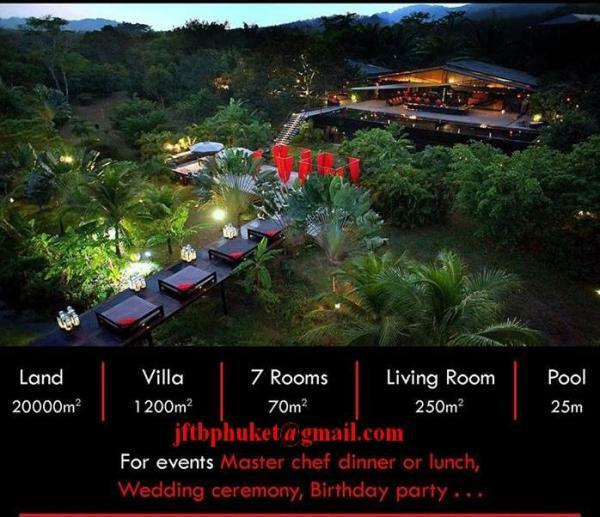 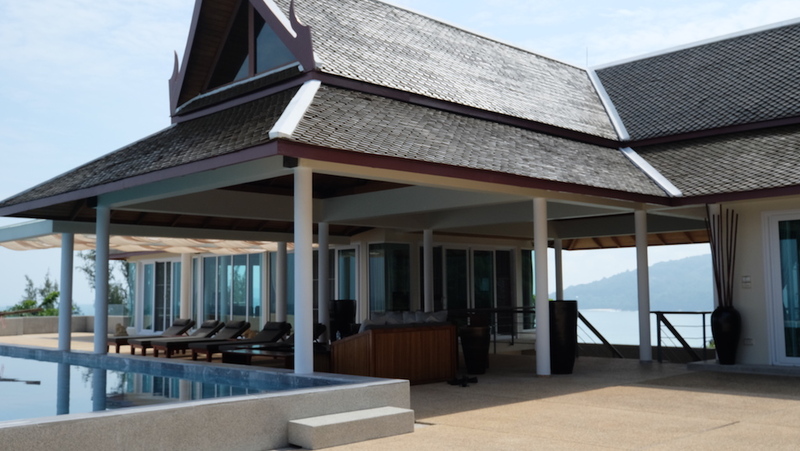 One of the most exclusive and distinctive villas of Phuket, at just less than 5 minutes from Kamala beach and 10 minutes from Patong beach. 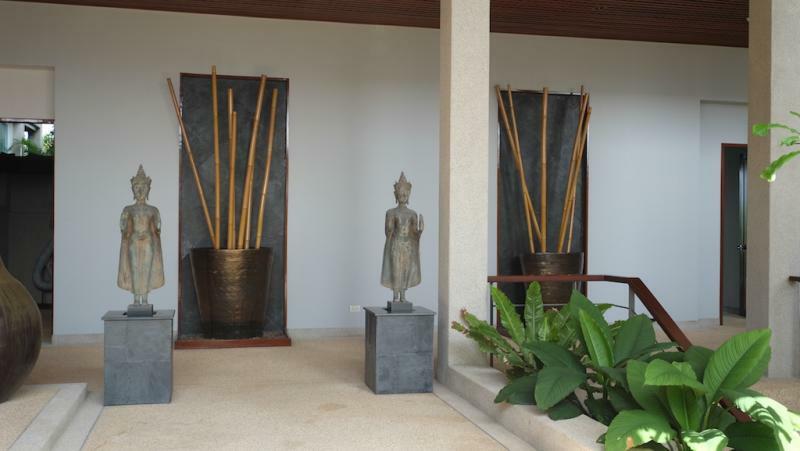 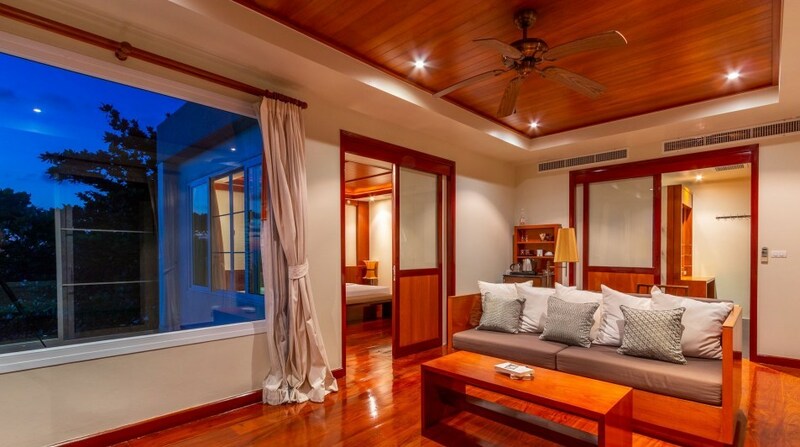 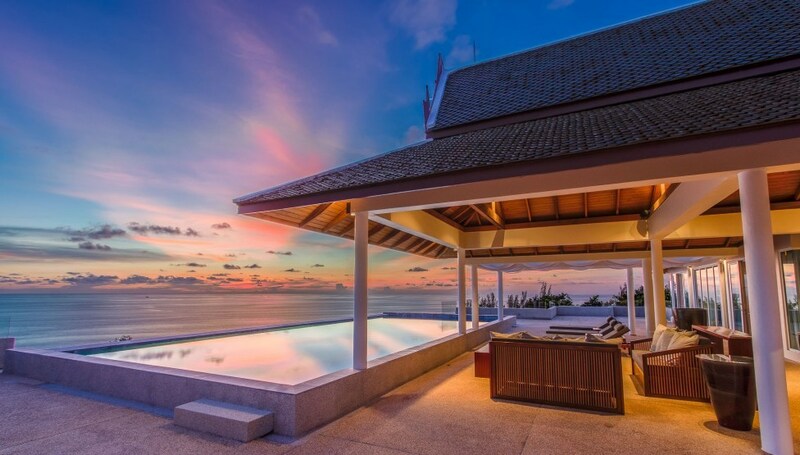 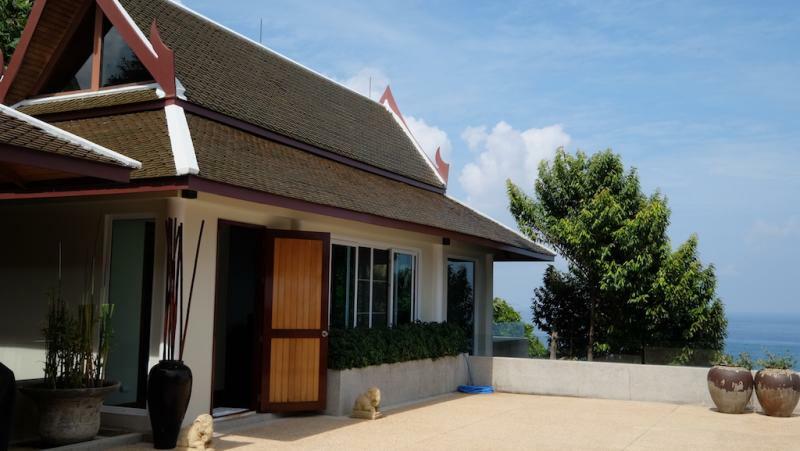 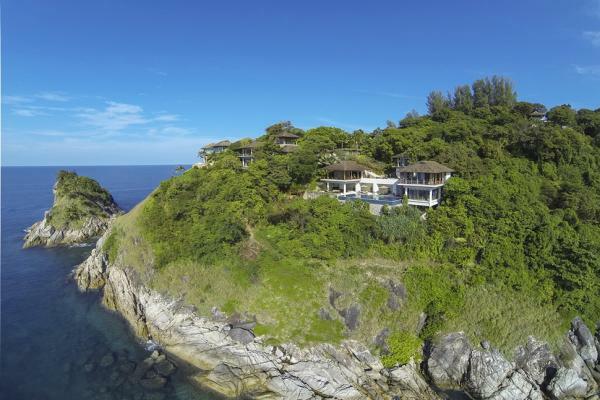 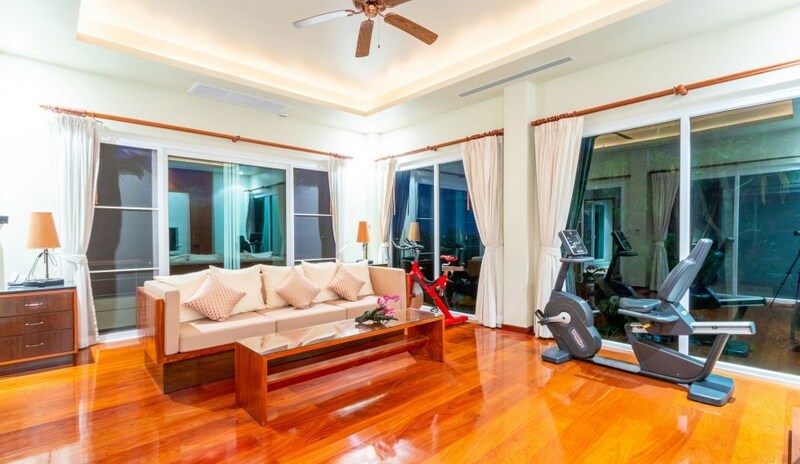 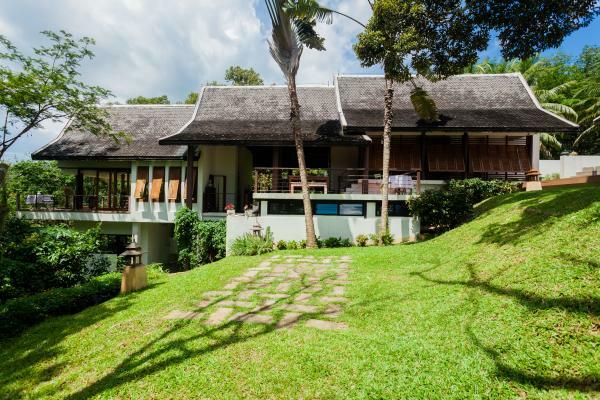 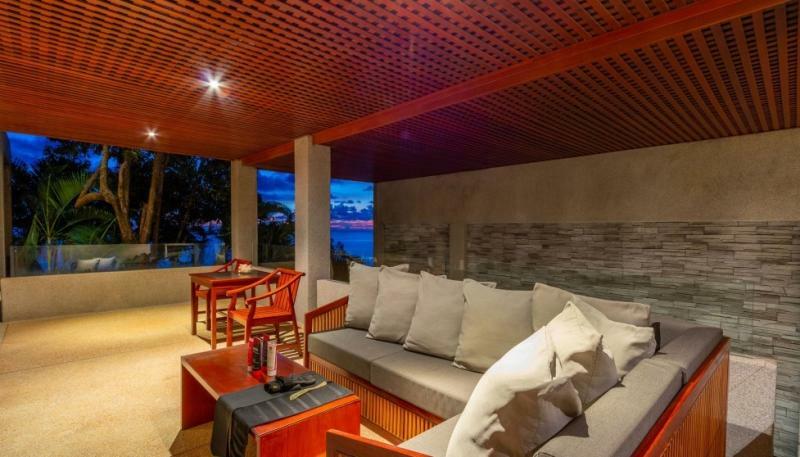 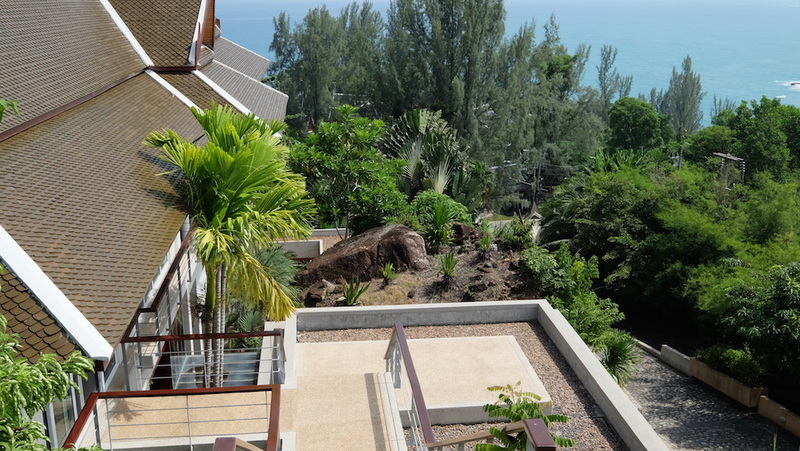 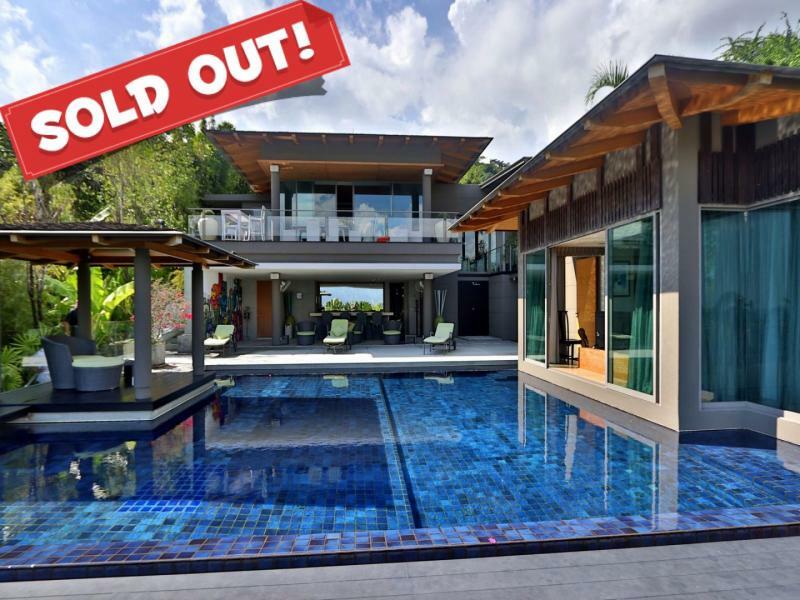 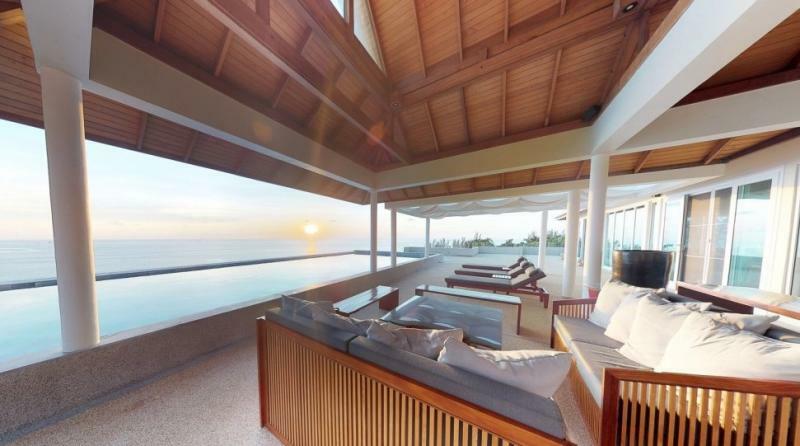 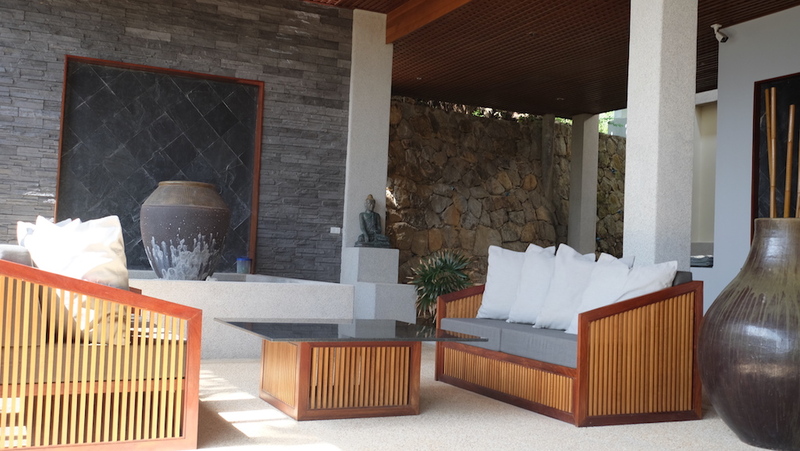 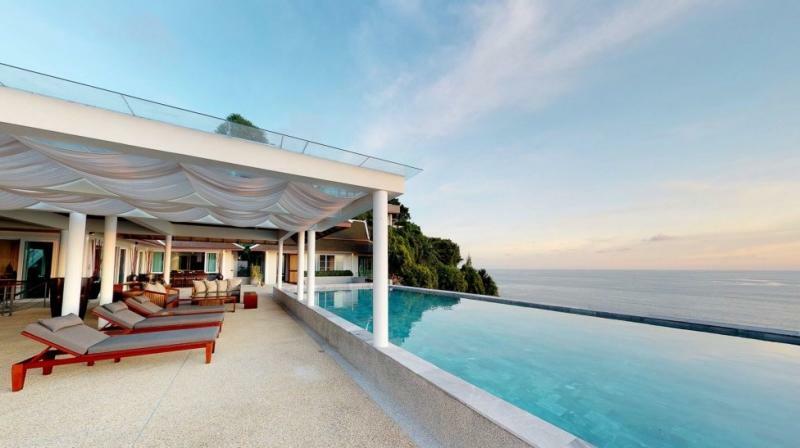 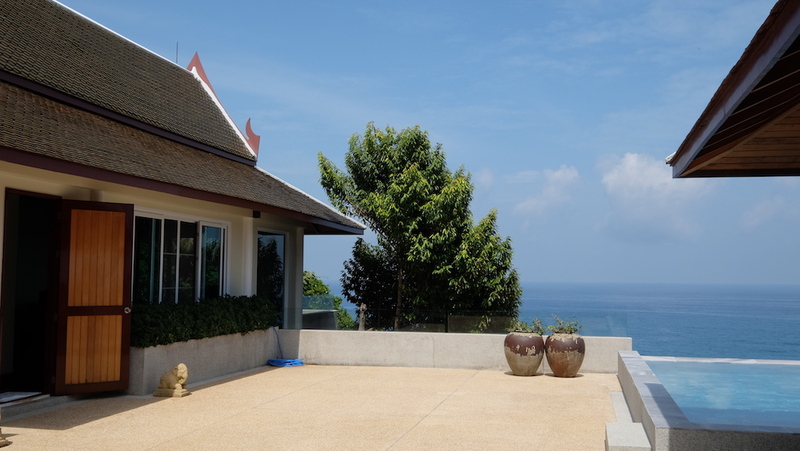 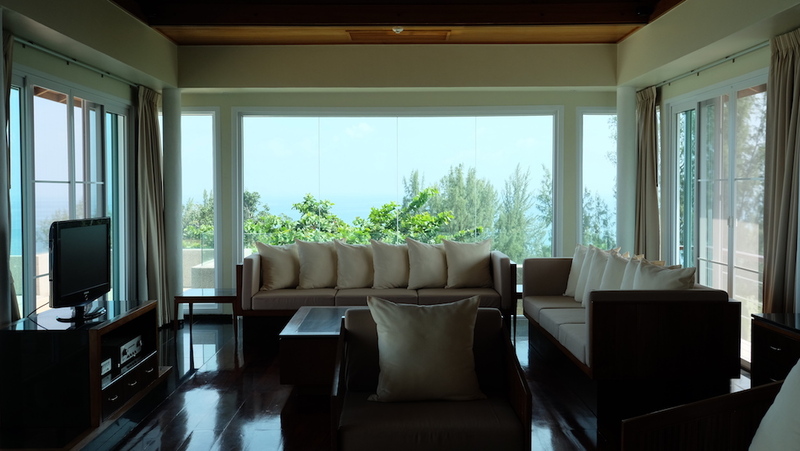 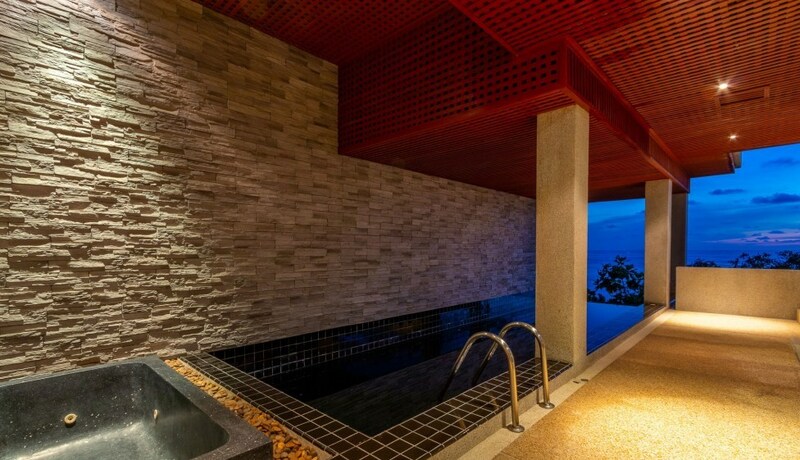 This elegant Thai style home is located on a hilltop on the MILLIONAIRE'S MILE with breathtaking Sea Views from the west and Kamala Bay and Surin Beach to the northeast. 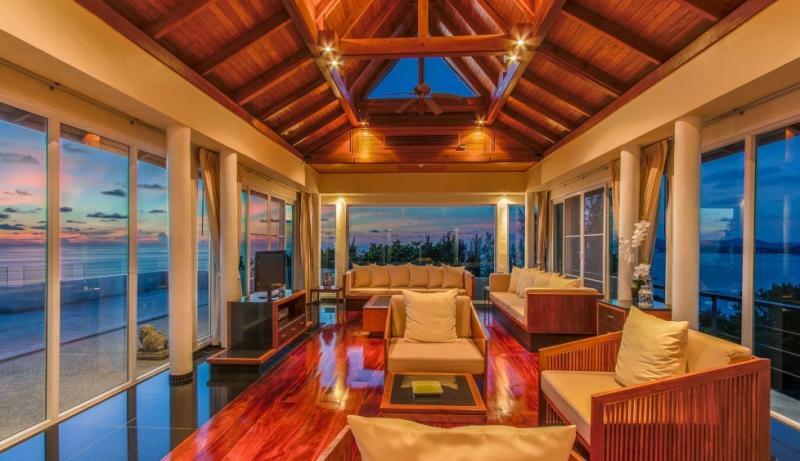 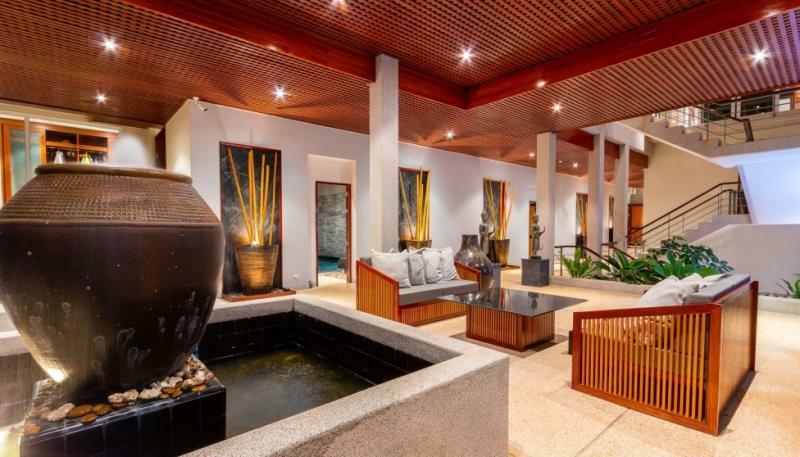 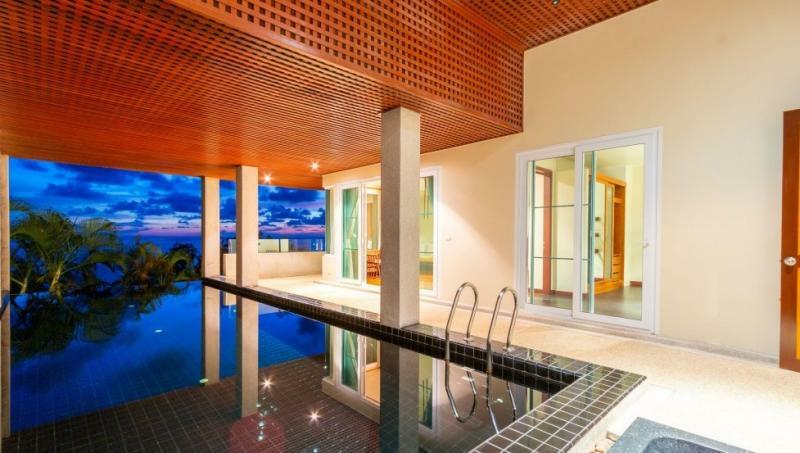 This extraordinary home has 5 bedrooms, 6 bathrooms and 4 pools. 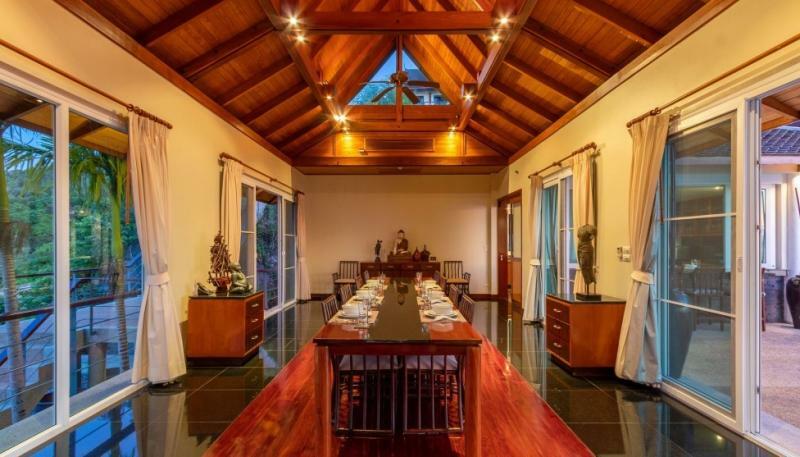 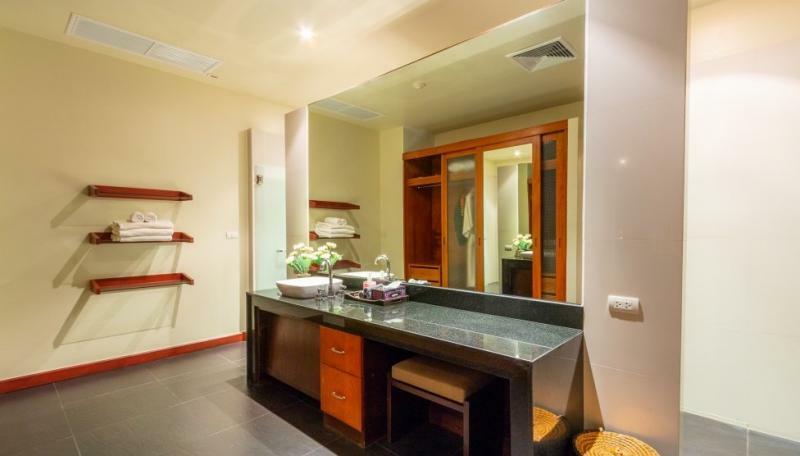 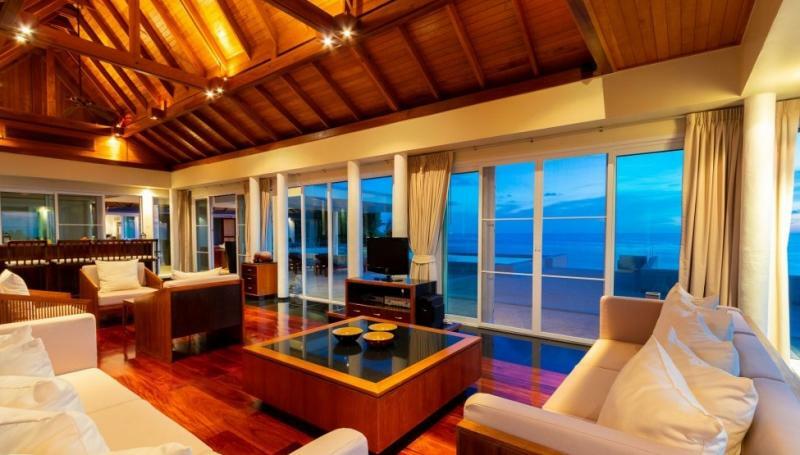 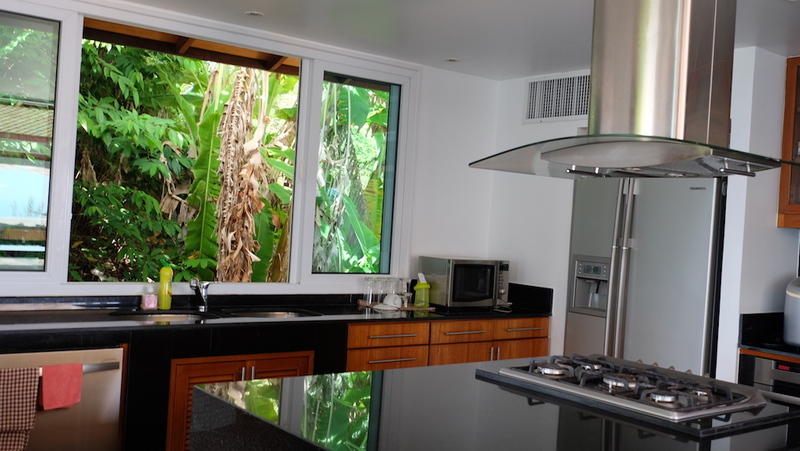 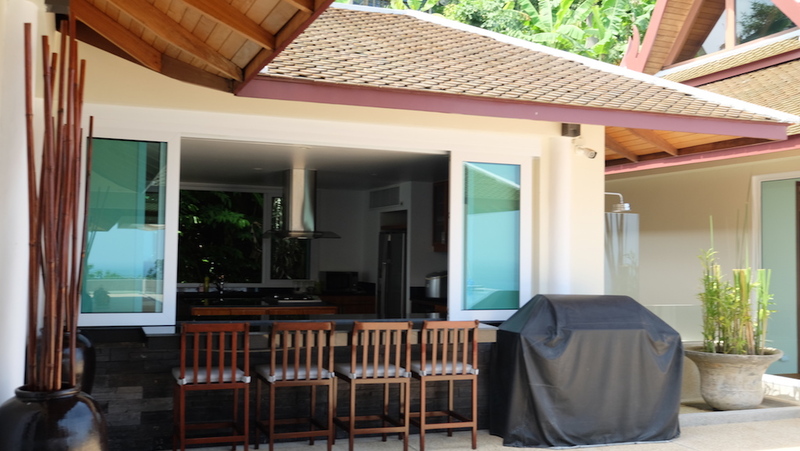 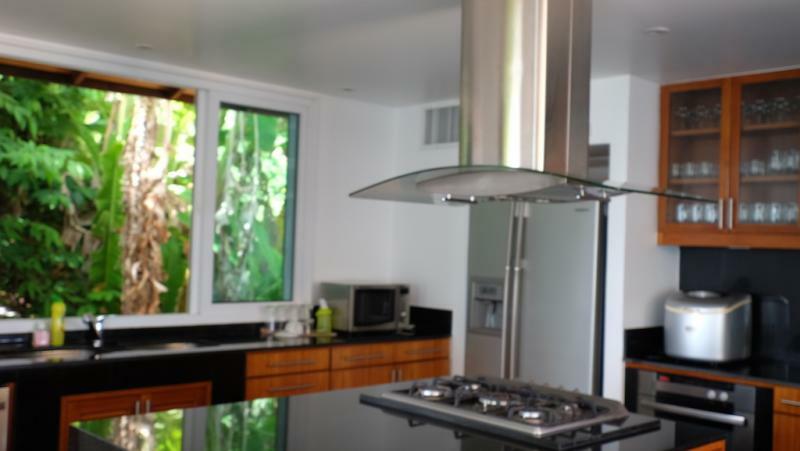 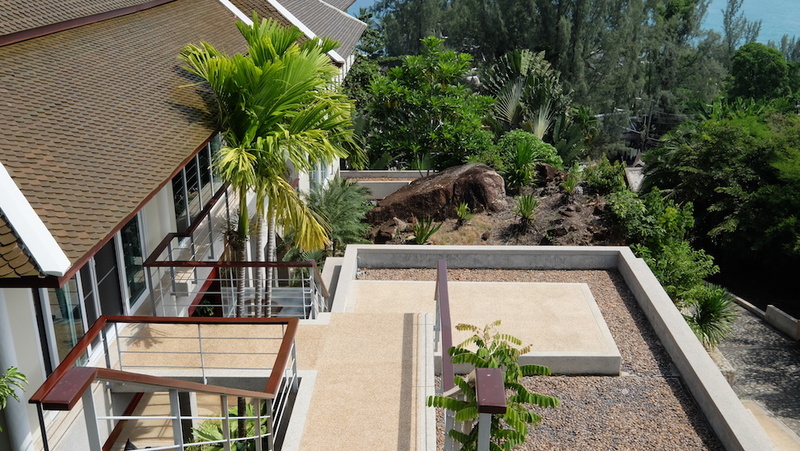 Built in 2008, the villa has been renovated and extensively extensively. 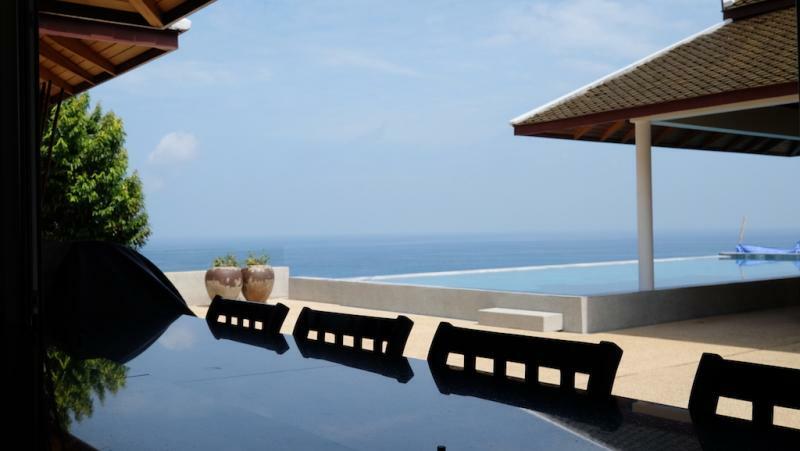 The upper part of the villa offers a terrace with a large infinity pool, living room, dining room and western kitchen. 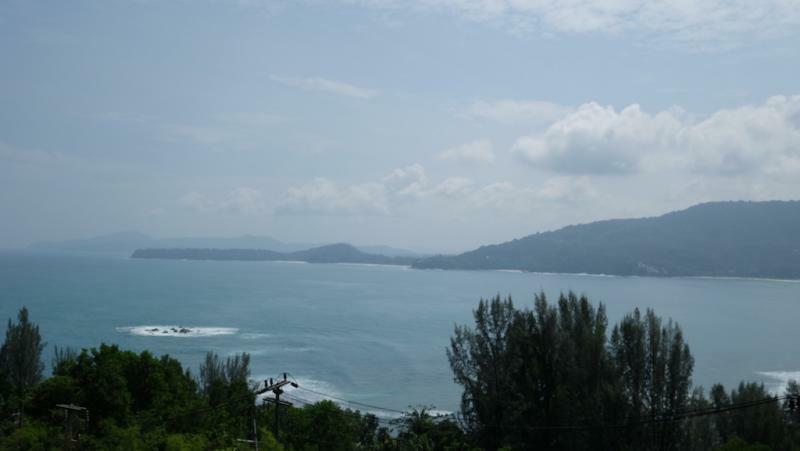 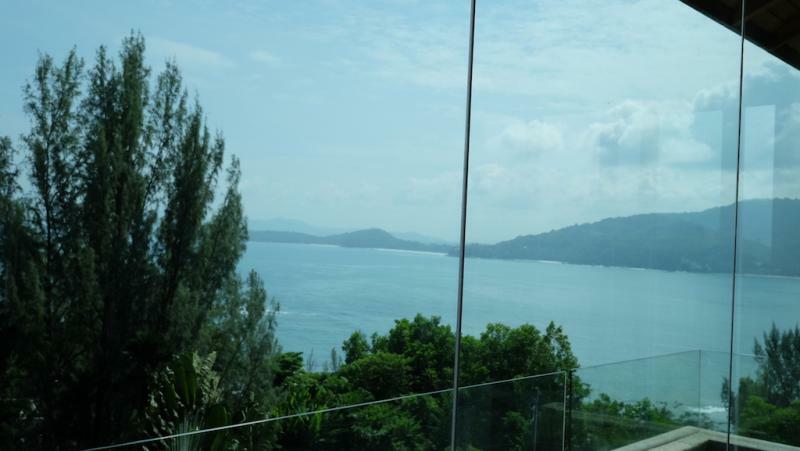 The view is spectacular with all around you the sea, which is almost unique in Phuket. 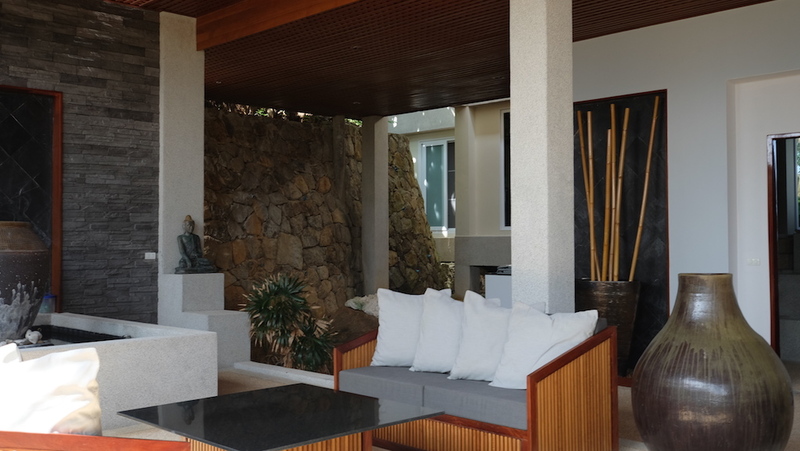 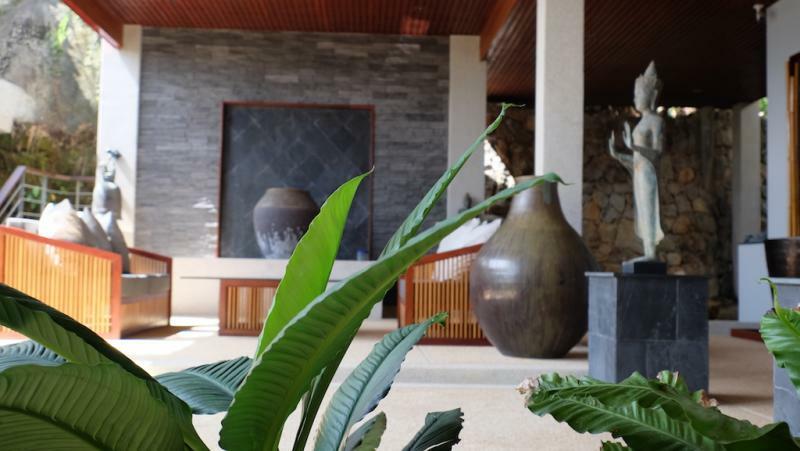 The lower level includes the lobby with lounge area, reception room and three sea view rooms, each with its own pool and outdoor hot tub. 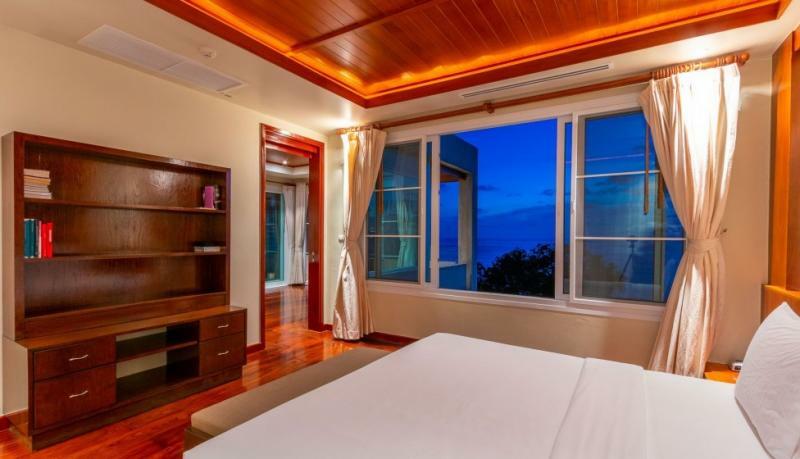 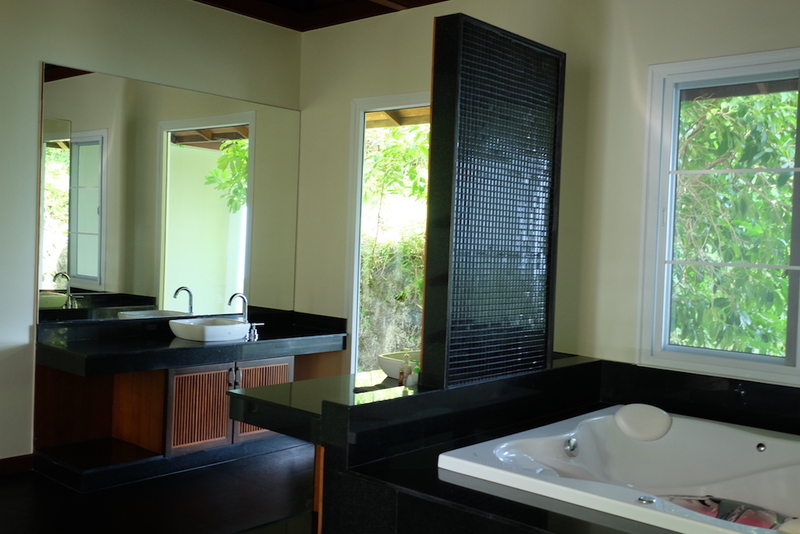 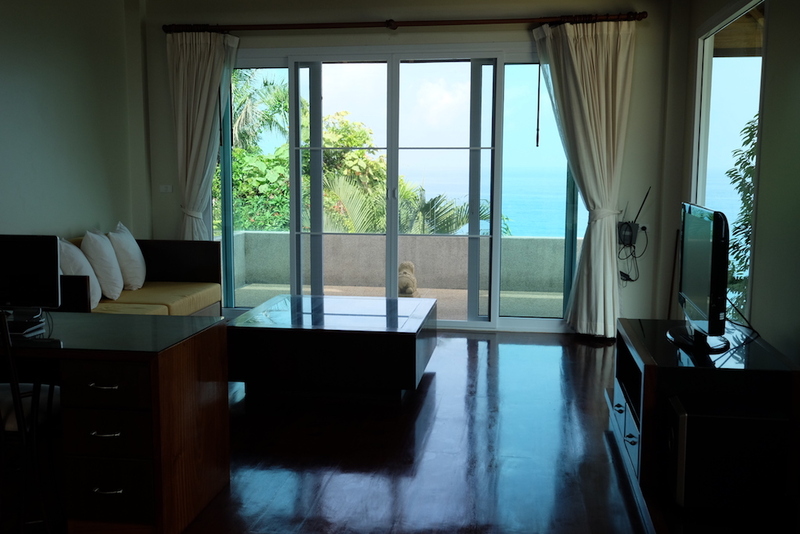 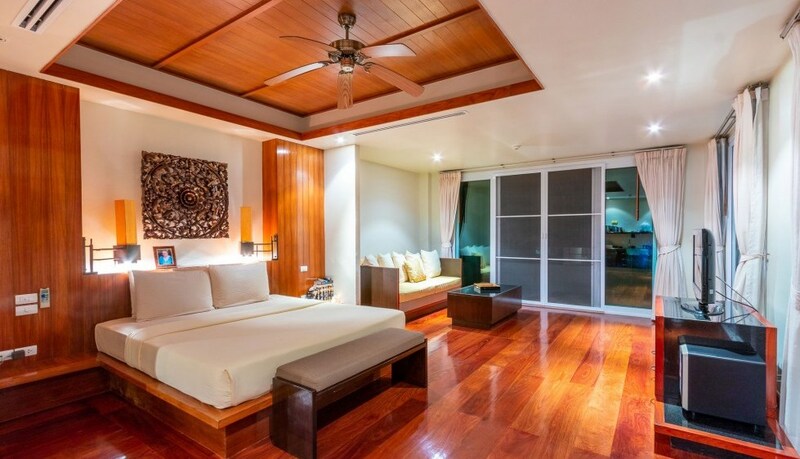 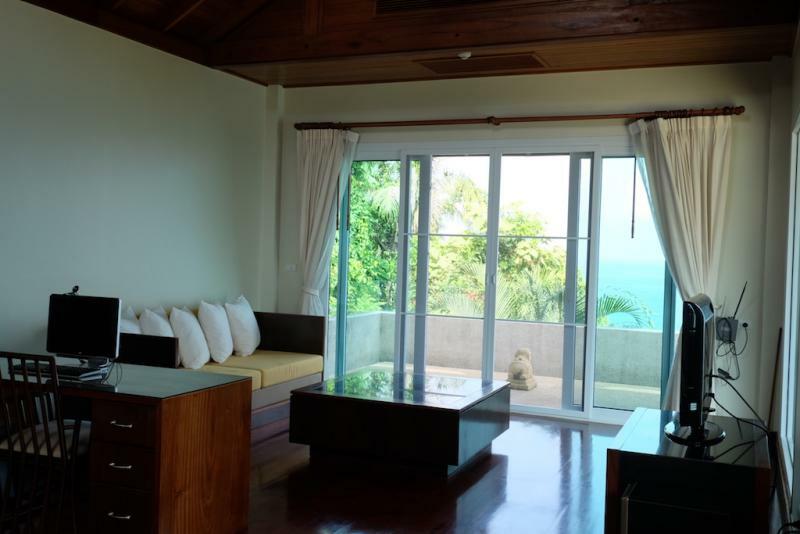 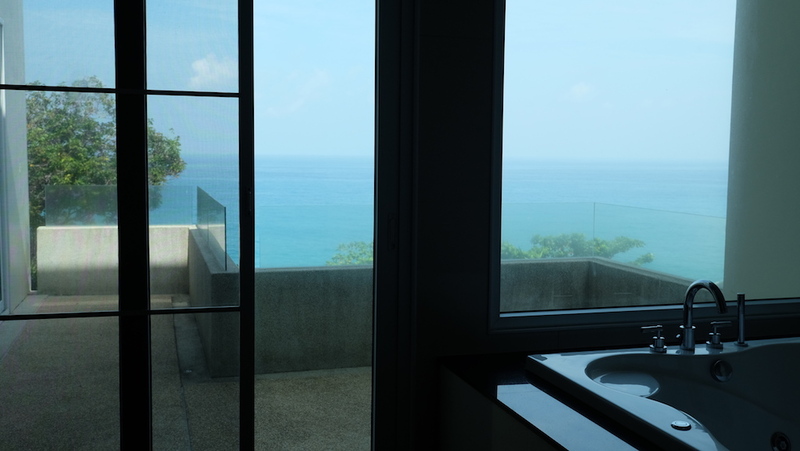 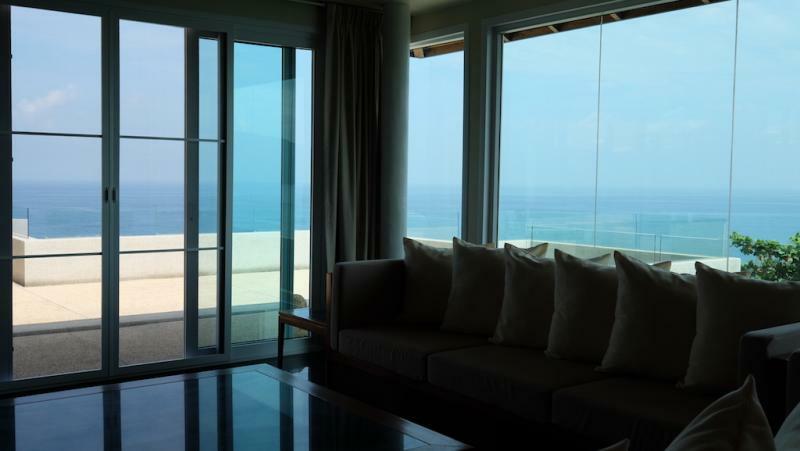 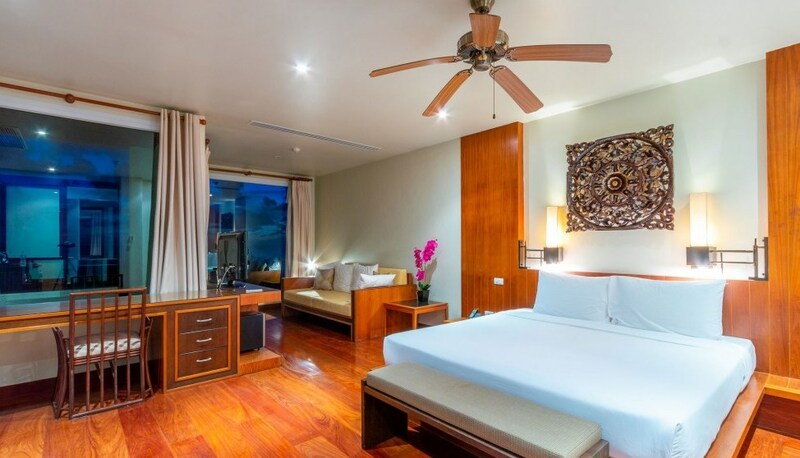 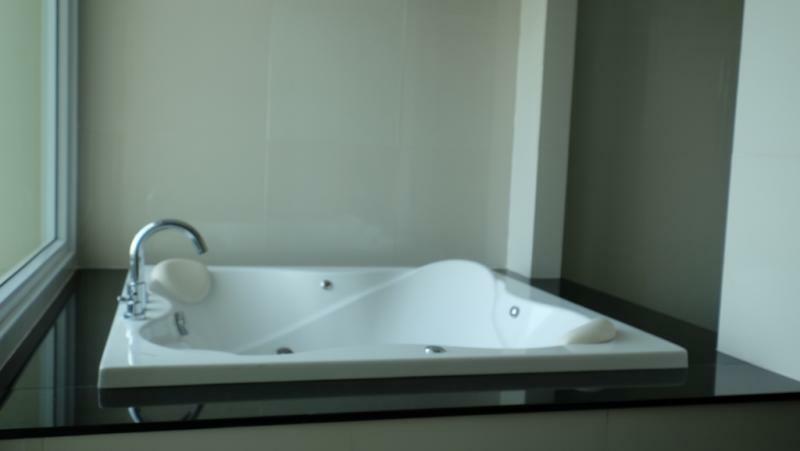 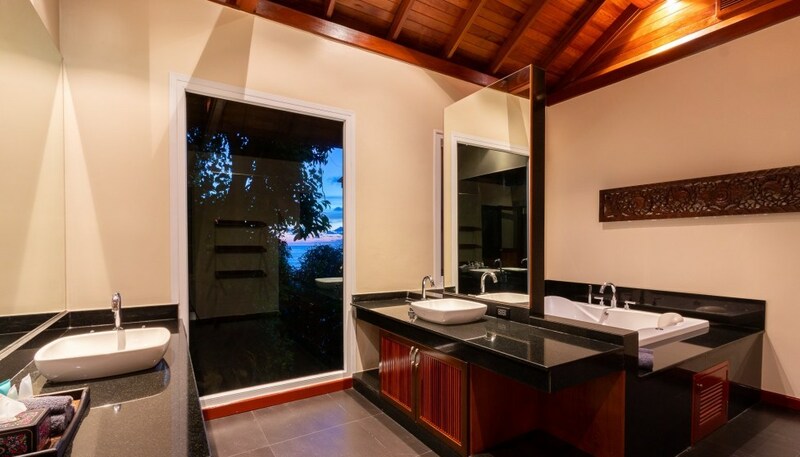 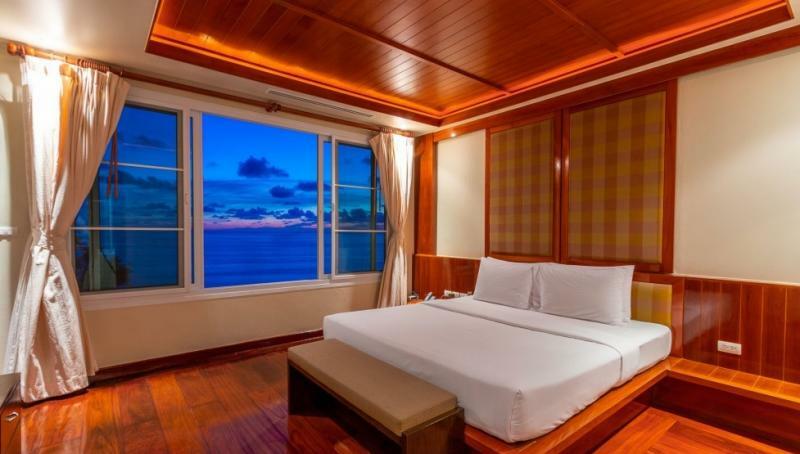 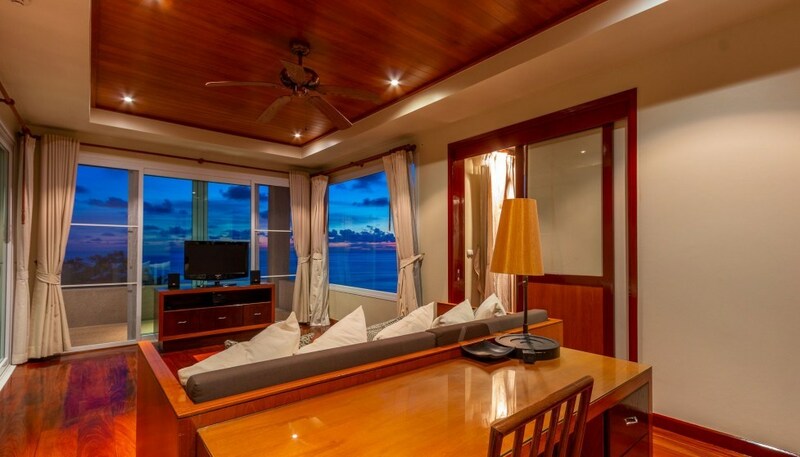 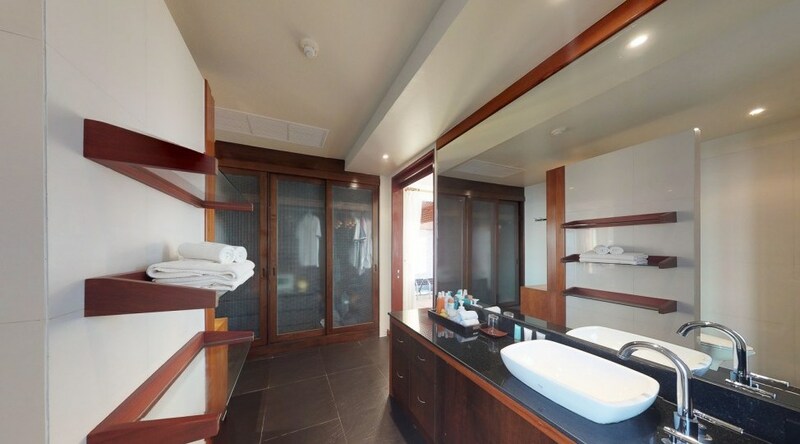 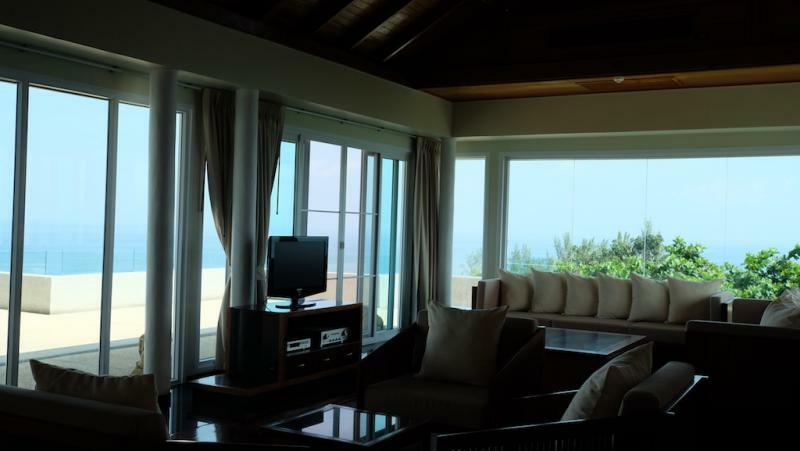 The fourth bedroom is located on the lower floor, featuring a living room, a large bathroom with a jacuzzi bath and a private balcony with sea views. 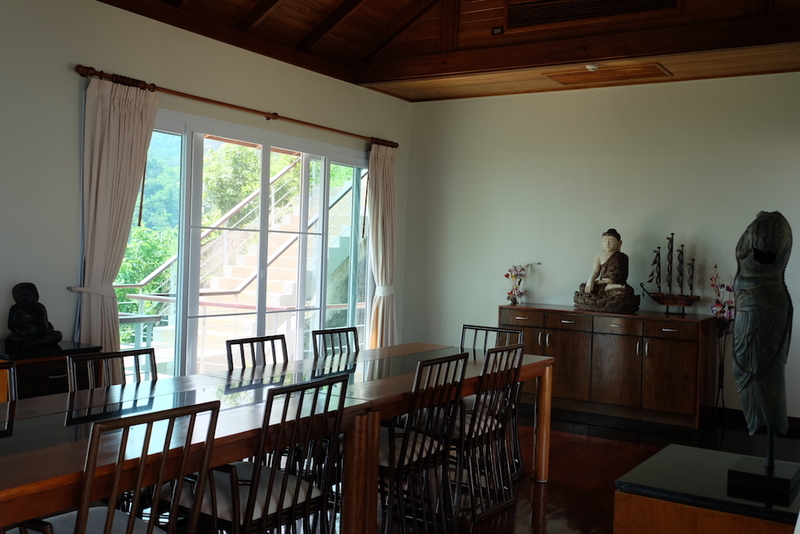 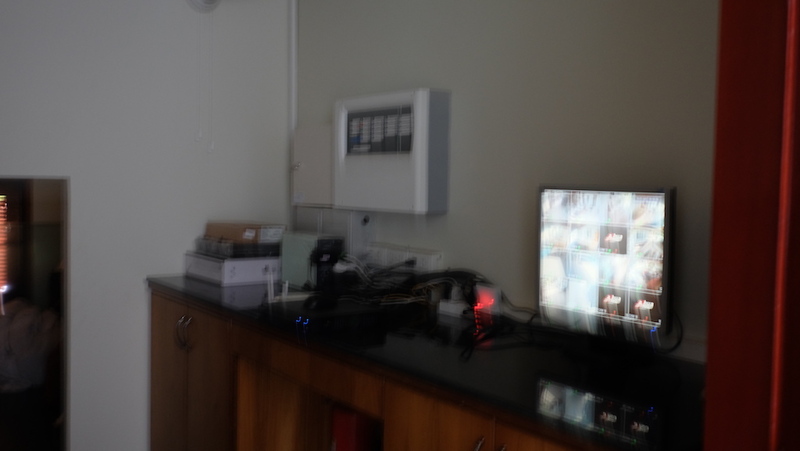 The fifth bedroom is located in a separate pavilion . 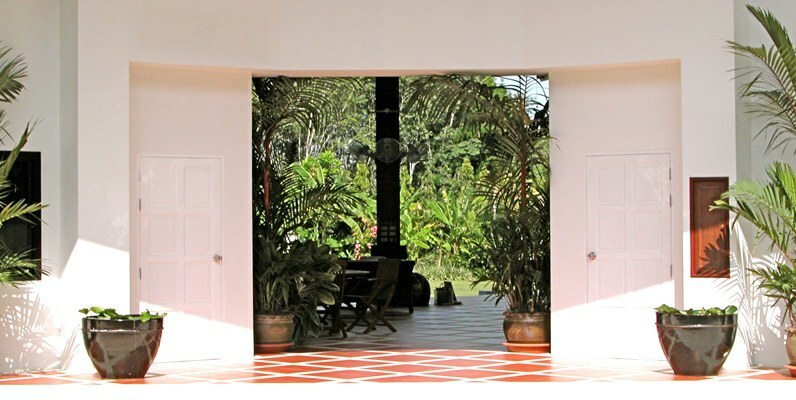 The ground floor includes the service entrance, parking for 3 cars and staff quarters. 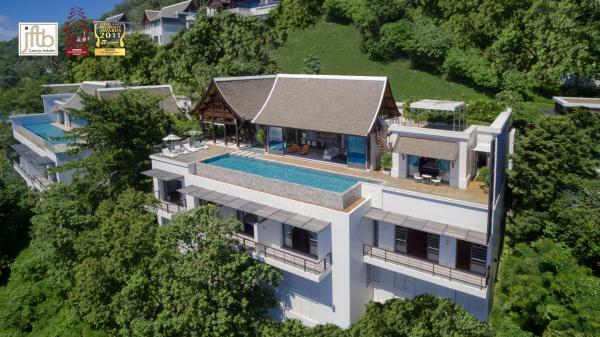 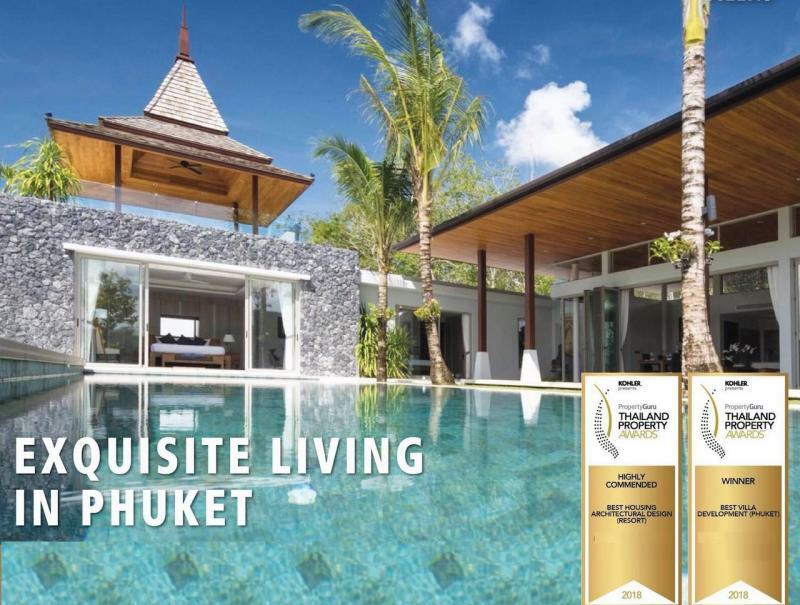 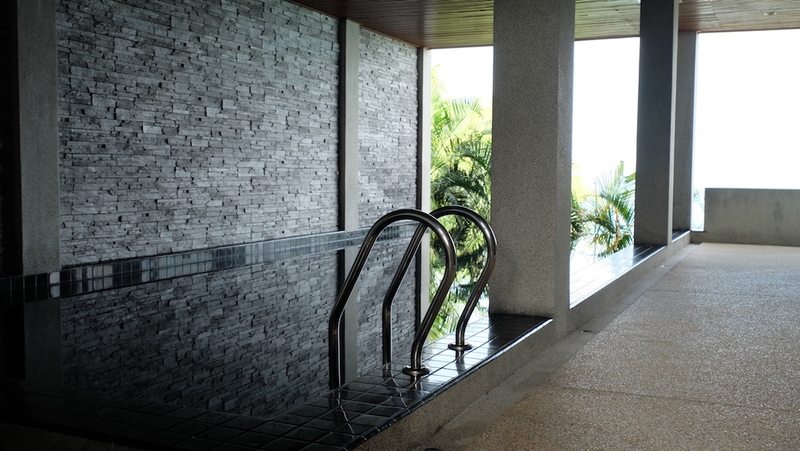 'Millionaires Mile' is Phuket's area for luxury hotels and villas on the west coast and hosts some of the finest and luxurious residences of the island.